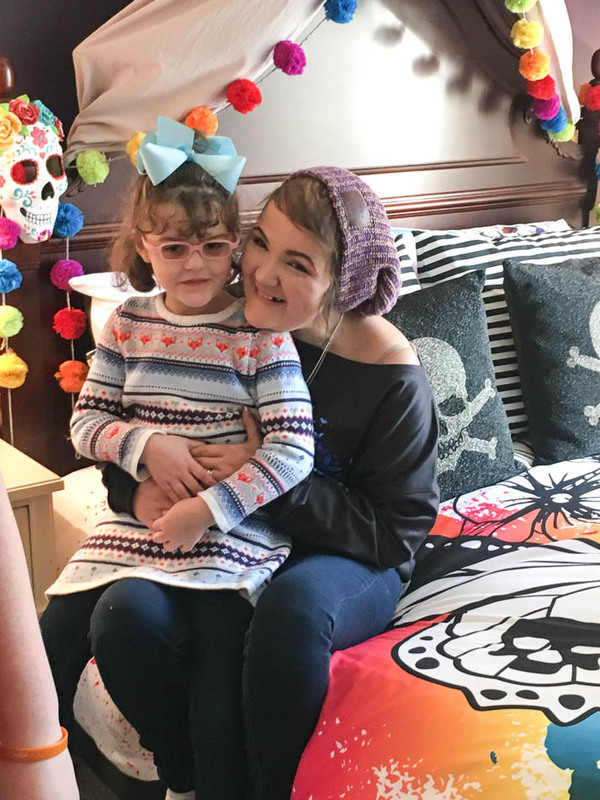 Despite more than a decade difference in their ages, Monica and Team Summer kid Jocelyn have a unique bond. Sure, they have their cancer fights in common (3rd battle with leukemia for Monica; cancer of the retina for Jocelyn), but there is something else that’s hard to explain. They just click! Their mothers became friends on Facebook and that’s how the girls met. Now they get together as often as they can, usually just to goof around. 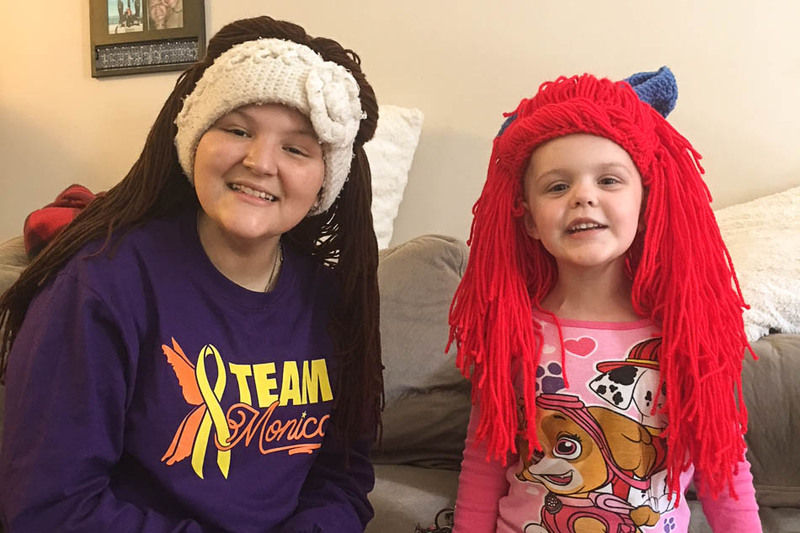 Little Jocelyn says Monica taught her not to be shy about being bald. But she’d be the first one to tell you that wearing crazy hats is fun too! So after Jocelyn became a Team Summer kid – she got a really cool swing set – it was only natural that she’d want her friend Monica to be a Team Summer kid, too! But what in the world does a little girl get a big girl? Well, it certainly was no secret that Monica would never be accused of being a good housekeeper. Ha! 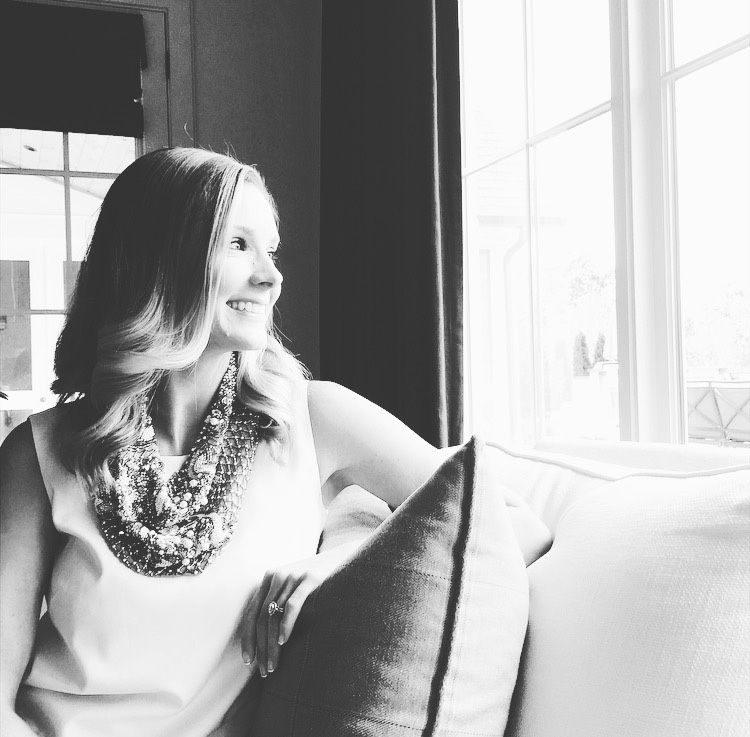 And Jocelyn – of all people – knows how much time kids with cancer spend in their rooms. 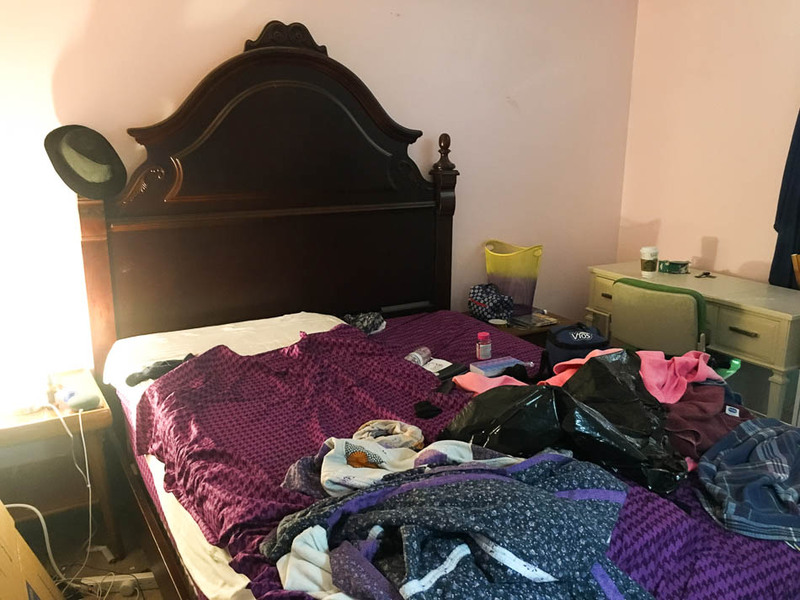 What about a room makeover?! 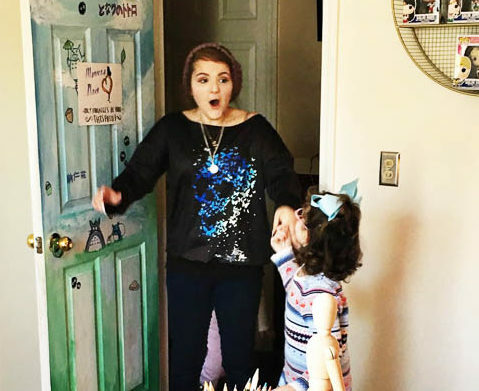 So one day late last year, after a lot of planning and plotting, Jocelyn read Monica the Team Summer welcome letter and surprised her with the idea…and an awesome decorator – Michelle Mentzer of Michelle Mentzer Interiors. First, Michelle wanted to know what kinds of things Monica liked. The answer: butterflies, purple, and sugar skulls. 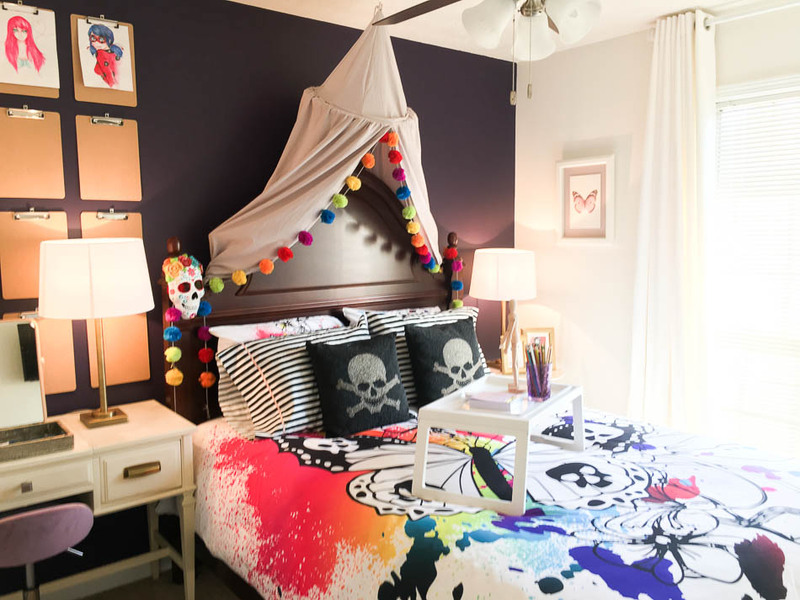 Yes, you read that right – sugar skulls! It’s a Mexican treat that has become a decorative must-have. Go figure. Monica also told Michelle that she loved drawing and collecting art. With the help of some wonderful Team Summer volunteers, in two short days – okay, scratch that, they were LONG days! 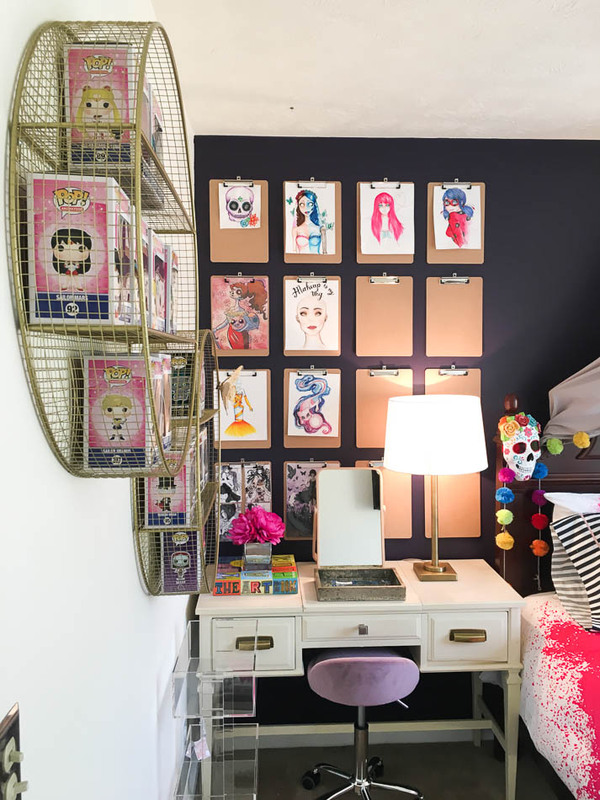 – Monica’s room was transformed! 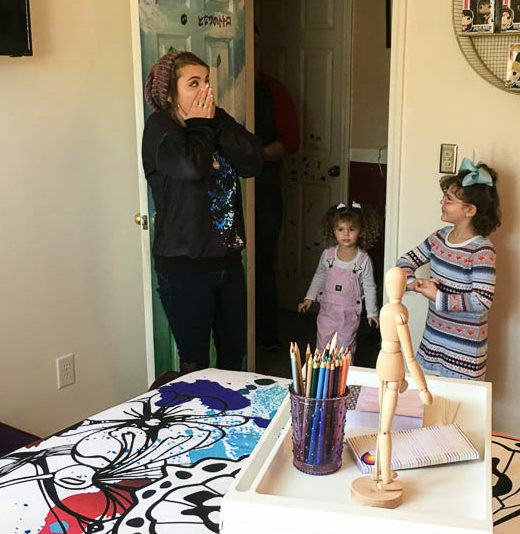 Here’s a look at her face when she first saw her new room! Here is one more look at the transformation, side by side! Wow! Jocelyn (with the help of her little sister!) was right by Monica’s side as she took it all in. No detail was overlooked! 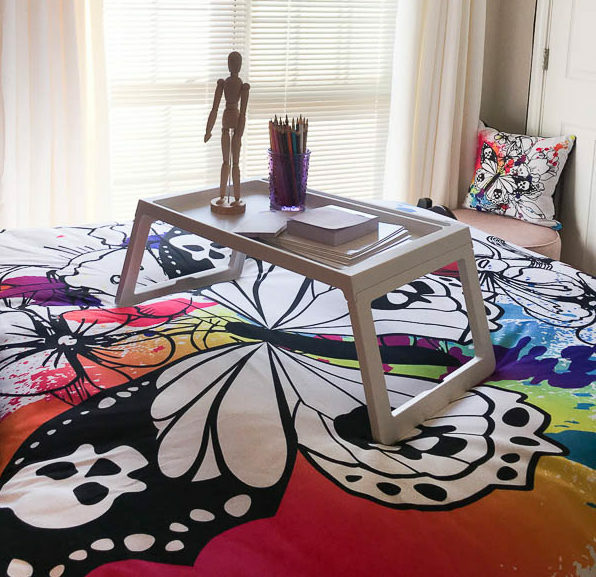 Butterflies – check! 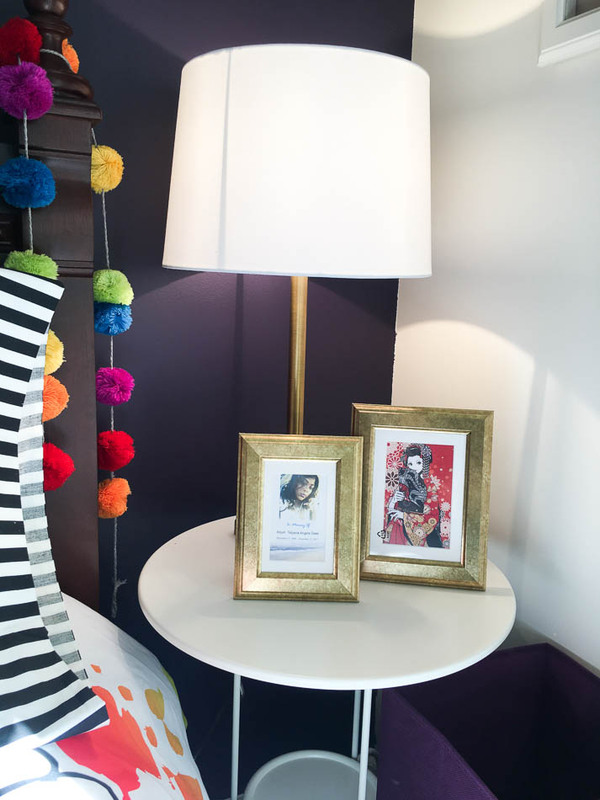 And look at this clever design to hang Monica’s drawings. Clipboards! Now she can switch out her artwork as often as she wants! Monica kept saying that she could not believe it was the same room! We know what she means! 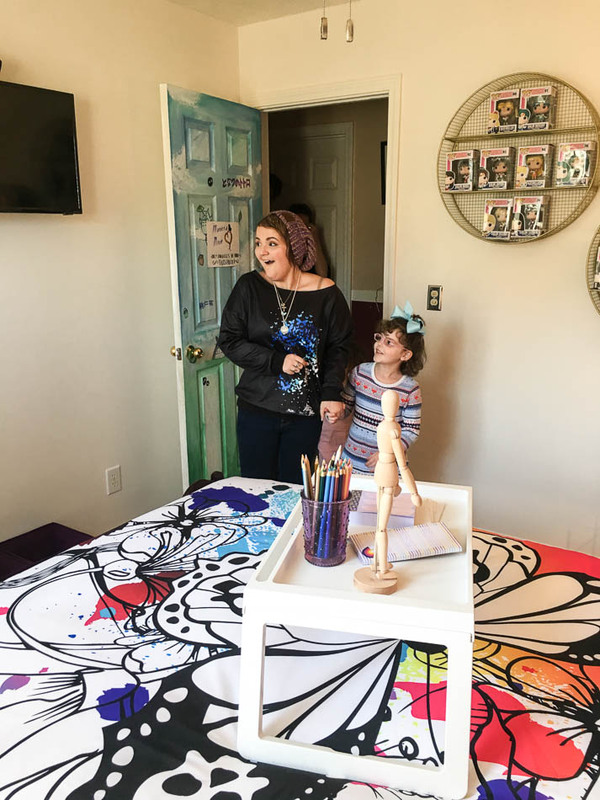 Any kid is going to love a cool bedroom, but when you are a kid with cancer, having a place like this to hang out in means so much more. It’s a place to feel safe and happy. Awesome job, Jocelyn! See the good you did? We love your big heart! 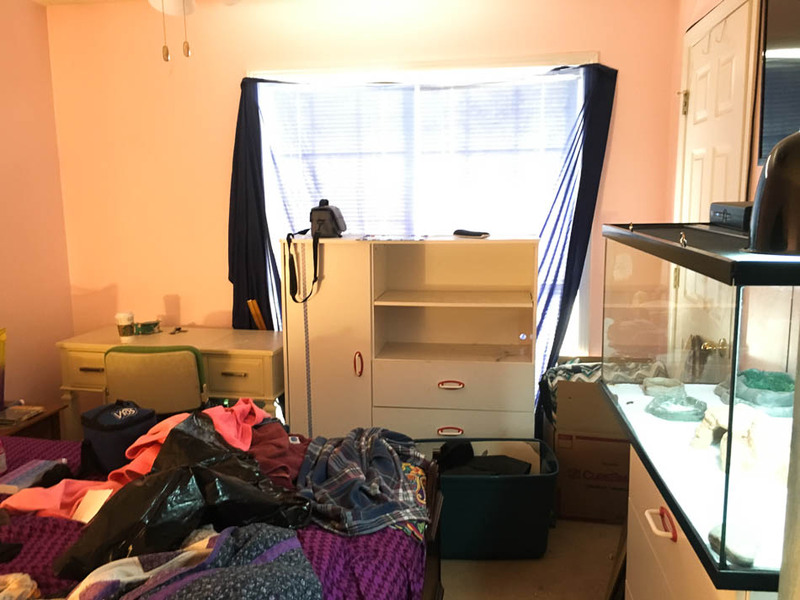 And a special thanks to Michelle Mentzer, who not only donated her time to Team Summer, but also donated some of the items for Monica’s room! 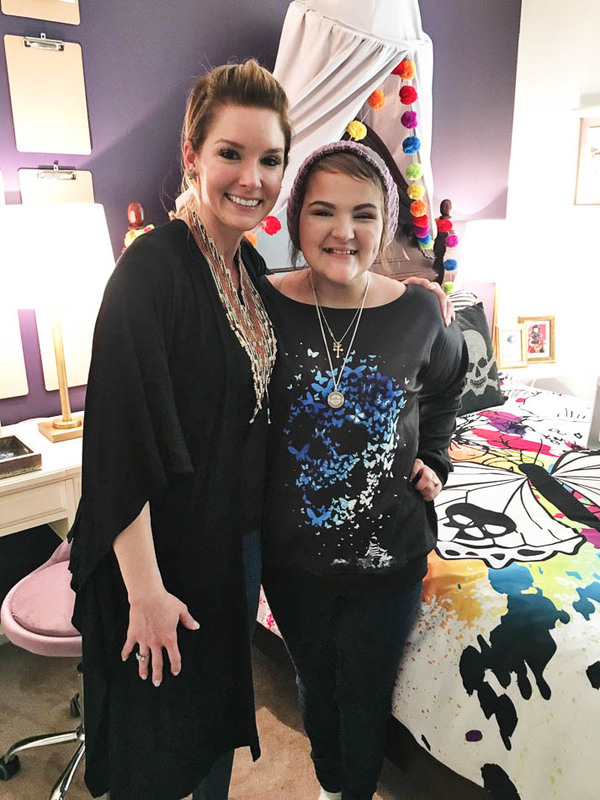 Michelle, you are amazing and we thank you for helping to bring such joy into Monica’s life! Everything we do is because all of you have helped fund this mission! 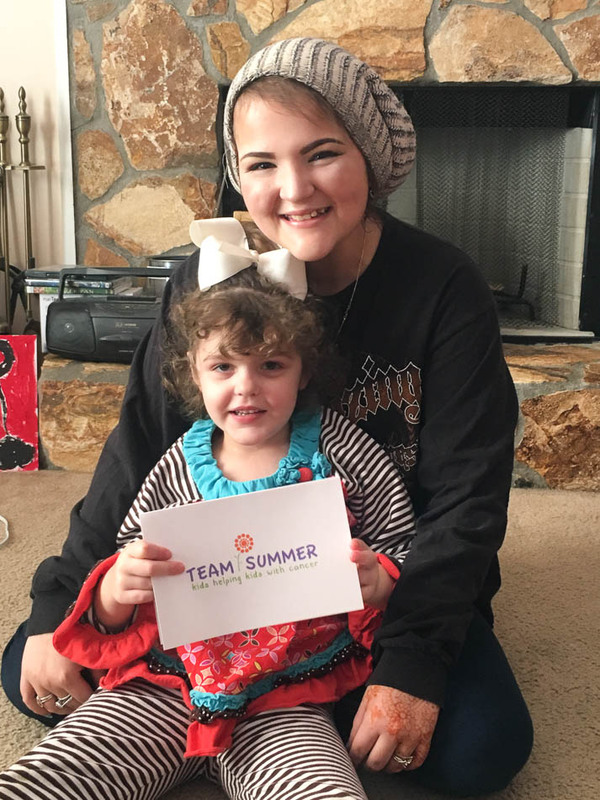 Thank you for being such an important part of Team Summer! !